Are you looking to reboot your nutrition after a busy summer? 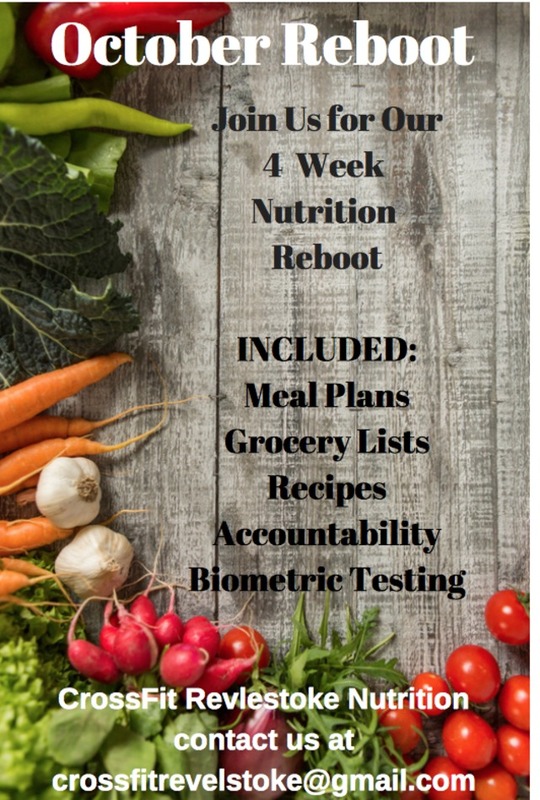 This October we will be running a 4 Week Reboot Nutrition Program. This is a great opportunity to get your nutrition back on track. This is not a "DIET" but a 4 week nutrition plan focused on eating 'real food' and balancing your plate with the right foods. Included: meal plans/grocery lists/recipes and an App to help you stay accountable and on track.